Robert Grosseteste (1168-1253) was the bishop of Lincoln. A polymath, he was one of the outstanding figures of the English middle ages making contributions to philosophy, theology and natural science. The society exists to exchange and publicly disseminate information about Robert Grosseteste. To this end it arranges international conferences and encourages scholarly publication on Grosseteste. Membership is open to any scholar with an interest in Grosseteste and there are no membership fees. Contact the Secretary for more information. Rev. 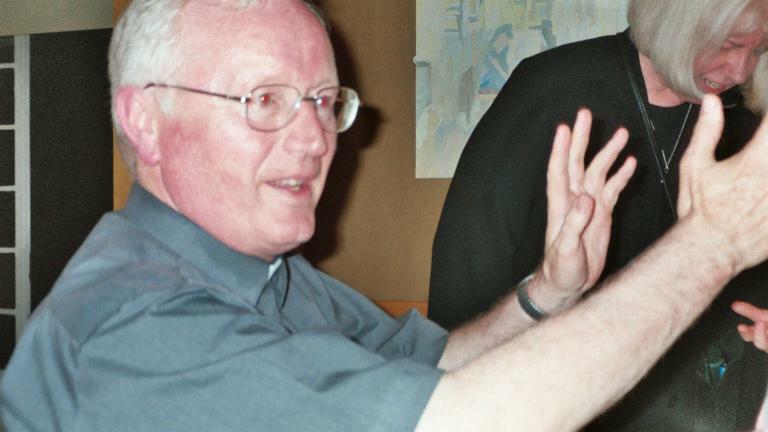 Servus Gieben, OFM Cap.† (Capuchin Historical Institute, Rome), Honorary President. Rev. Prof. James McEvoy† (Queens’ University Belfast), founding Chairperson. Anyone who wants his or her listing added, changed or removed should contact the Secretary. Not all members are listed here. Dr Karl Aubrey (Applied Studies, Bishop Grosseteste University, Lincoln). Grosseteste and education. Mr Noé Badillo (University of Arizona). 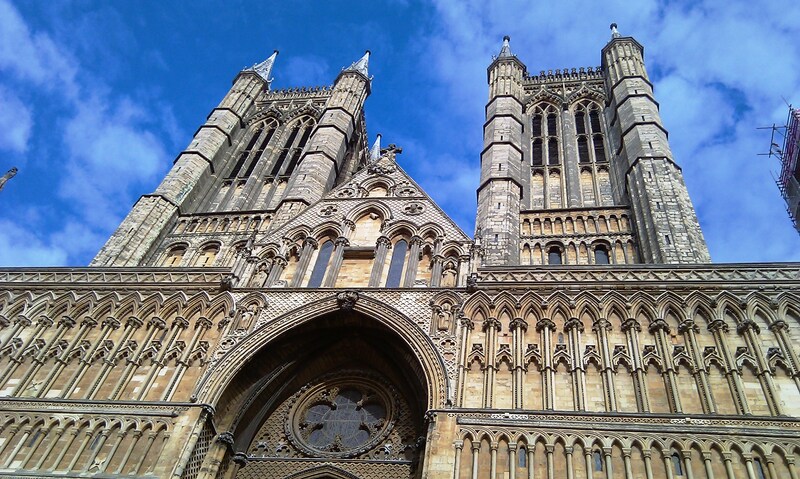 De luce, optical theory, Grosseteste and the design of Lincoln Cathedral. Prof. Eileen Baker OBE (independent scholar). Prof. Verónica Benavides (Department of Philosophy, Adolfo Ibáñez University, Chile). Grosseteste on nature and God. Dr Pat Beckley (Department of Education, Bishop Grosseteste University, Lincoln). Grosseteste and education. Dr Nicholas Bennett (former Librarian of Lincoln Cathedral). Grosseteste and the diocese of Lincoln. Prof. Winston Black (Department of History, Binghamton University). Grosseteste, medicine and natural theology. Dr Laura Cleaver (Department of the History of Art and Architecture, Trinity College, Dublin). Rev. Ian B. Cook (independent scholar). Grosseteste and science. Mr William Crozier (PhD student, Department of History, Durham University) Grosseteste on colour. Dr Jack Cunningham (Department of Theology, Bishop Grosseteste University, UK). Mr Gioacchino Curiello (Department of Philosophy, University of Salerno/Louvain-la-Neuve). Grosseteste and Ps-Dionysius’s Commentary on the Divine Names. 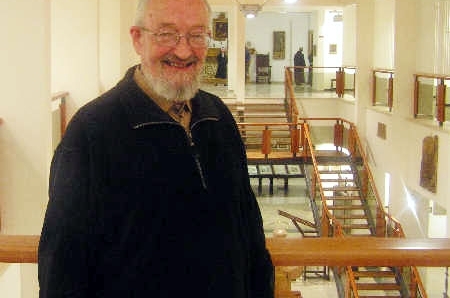 Dr Michael Dunne (Department of Philosophy, NUI, Ireland). Prof. Nader El-Bizri (Department of Philosophy and Civilisation Studies, American University of Beirut). Grosseteste and Arab scholarship. Mr Timothy Farrant (Pembroke College, Oxford). Dr John Flood (Department of English, University of Groningen, The Netherlands). Grosseteste and Lollardy. Grosseteste’s posthumous reputation. Mr Adam Foxon (Bishop Grosseteste University, Lincoln). Grosseteste and the science of learning. Ms Ros Gammie (Bishop Grosseteste University, Lincoln). Grosseteste and the science of learning. Mr Owain Gardner (School of the Humanities, University of Glasgow). Grosseteste’s conception of scientia, Grosseteste and music. Prof. James Ginther (Faculty of Theology, University of Toronto). Grosseteste’s theology. Dr Giles Gasper (Department of History, Durham University). Principal Investigator of the Ordered Universe Project. Grosseteste and medieval science, Grosseteste’s theology. Dr Nick Gee (School of Teacher Training, Bishop Grosseteste University, Lincoln). Grosseteste and education. Ms Sarah Gilbert (History Department, Durham University). Prof. Joe Goering (Emeritus, Department of History, University of Toronto). Grosseteste’s Dicta and pastoral writings. Ms Sarah Griffin (History of Art, Oxford University). Medieval diagrams. Ms Sara Harris (Magdalene College, Cambridge). The Chateau d’Amour; Grosseteste’s pastoral works. Mr Joshua Harvey (Oxford Research Centre in the Humanities & Pembroke College). Dr Margaret Healey-Varley (Department of English, Providence College, Rhode Island). Prof. John Hendrix (School of Architecture, University of Lincoln, UK). Grosseteste and Architecture, Lincoln Cathedral. Prof. Stephen Hilderbrand (Department of Theology, Franciscan University of Steubenville). De cessatione legalium. Dr Yvonne Hill (Department of Education MA Programme, Bishop Grosseteste University, Lincoln). Dr Meridel Holland (independent scholar). Grosseteste’s translations of John of Damascus. Mr Aaron Hope (University College, London). Grosseteste’s episcopal office and the responsibilities of spiritual government. Dr Philippa Hoskin (Department of History, University of Lincoln, UK). Grosseteste and the medieval episcopacy. Dr Adam Hounslow-Eyre (Bishop Grosseteste University, Lincoln). Grosseteste the anima mundi; scientific systems thinking. Dr Michael Huxtable (Department of English, Durham University). Grosseteste and medieval poetics. Mr Gordon Jackson (independent scholar). Grosseteste’s Dicta. Dr Yael Kedar (Department of Philosophy, Haifa University, Israel). Dr Smaragda Kampouri (TESOL Programme, Bishop Grosseteste University, Lincoln). Grosseteste and education. Dr Catherine Kavanagh (Department of Philosophy, University of Limerick, Ireland). Grosseteste as translator. Dr Declan Lawell (independent scholar). Grossesteste’s commentaries on the Pseudo-Dionysius and his connections with Thomas Gallus. Prof. Edgar Laird (Emeritus, Department of English, Texas State University). Dr Mette Lebech (Department of Philosophy, NUI Maynooth, Ireland). Grosseteste and human dignity. Prof. Tom McLeish (Department of Physics, Durham University). Grosseteste’s scientific works. Prof. Neil Lewis (Department of Philosophy, Georgetown). Grosseteste’s philosophy. Prof. R. James Long (Emeritus, Department of Philosophy, Fairfield University). Grosseteste’s philosophy. Prof. David Luscombe (Emeritus, Department of History, University of Sheffield). Prof. F.A.C. Mantello (Emeritus, Department of Greek and Latin, Catholic University of America, Washington). Grosseteste’s letters and pastoral writings. Dr Sacha Mason (Professional Studies, Bishop Grosseteste University, Lincoln). Grosseteste and education. Sr Dr Maura O’Carroll, SND (Emeritus, Liverpool Hope University). Ms Ami Montgomery (TESOL Programme, Bishop Grosseteste University, Lincoln). Grosseteste and education. Prof. Cecilia Panti (Department of Philosophy, University of Rome). Grosseteste’s De luce. Mr Mark Plater (Secondary Religious Education, Bishop Grosseteste University, Lincoln). Grosseteste and Education. Mr Nicola Polloni (Dipartimento di Studi Umanistici, Università degli Studi di Pavia). Grosseteste’s use of Arabic sources, Grosseteste’s cosmology and ontology. Dr Steven Puttick (Secondary, FE & Research Education, Bishop Grosseteste University, Lincoln). Grosseteste and education. Ms Aimee Quickfall (Department of Education, Bishop Grosseteste University, Lincoln). Philosophy in education. Dr Candice Quinn (independent scholar). Grosseteste and Pseudo-Dionysius. Rev. Dr Michael Robson (St Edmund’s College, Cambridge). Grosseteste and the Franciscans. Mr Charles Roe (English Department, Leeds University). The Chasteau d’Amour. Prof. Pietro Rossi (Emeritus, Department of Philosophy, University of Turin). Grosseteste and Aristotle. Dr Brett W. Smith (Department of Theology, Franciscan University of Steubenville). Grosseteste’s theology, philosophy and biblical exegesis. Dr Sigbjørn Sønnesyn (Department of History, Durham University). Mr. Seth Strickland (Department of English, Cornell University). Grosseteste’s De luce and Chateau d’Amour & literary reception, theories of allegory, dream-visions, Medieval corporeity. Prof. Brian Tanner (Department of Physics, Durham University). Grosseteste and science. Cdr David G. Terrell USN (Retired) (Department of History, American Military University). Grosseteste, justice and mercy (History of Ideas). Rev. Dr John Tomlinson (St John’s College, Nottingham). Historical conceptions of Grosseteste. Rt Revd Dr David Thomson (Hon. Fellow, Durham). Grosseteste and the liberal arts. Grosseteste and Middle English. Dr Marcin Trepczynski (Institute of Philosophy, University of Warsaw). Ps-Dionysius and Grosseteste. Dr Michele Trizio (Dipartimento di Filosofia, Letteratura, Storia e Scienze Sociali, Università degli Studi di Bari “Aldo Moro”). Grosseteste’s translation of the commentaries on the Nicomachean Ethics. Prof. Faith Wallis (Department of History, McGill University, Montreal). Dr Rebekah White (Department of Psychology & Pembroke College, Oxford). Dr Jenny Wynn (Department of Education, Bishop Grosseteste University, Lincoln). Grosseteste and human cognition.